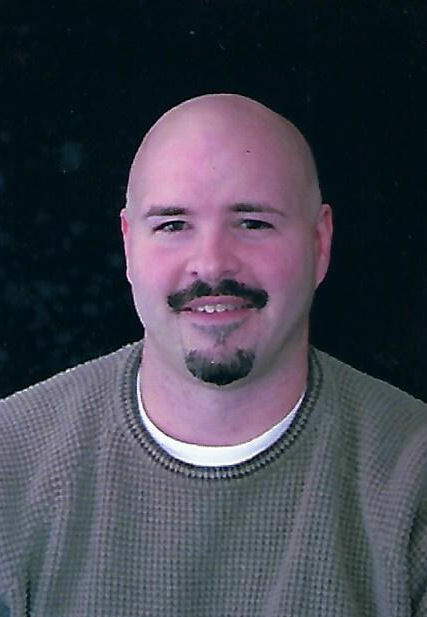 John Thomas Gregg, 49, of Dubuque, Iowa passed away on October 18, 2018 at his home. Funeral service will be at 12:00 p.m. Monday, October 22, 2018 at Leonard Funeral Home & Crematory with Pastor Thomas Shinkle officiating. Family and friends may gather after 10:00 a.m. Monday until time of the service. Burial will be at a later date in Mount Sterling, IA. John was born on August 8, 1969 in Fort Madison, Iowa, son of Joe and Janet (Bennett) Gregg. John graduated from Fort Madison High School in 1987. He graduated from Western Illinois University in 1993. He enjoyed weight lifting and going for long walks. He had a passion for all things pertaining to World War II and had a vast collection of miniature tanks, planes and books. John is survived by his mother, his sister Jancy (Pat) Hagen; their son Dylan of Westminster Colorado, his twin brother Jamie (Lora) Gregg; their children, Shelby & Ethan of Inver Grove Heights Minnesota, his aunt, Sondra Bennett (Ozzie Alibasic) of Dubuque, Betty Roberts of Mount Sterling, Iowa and numerous cousins. John was preceded in death by his father, Uncle, Oscar Gregg of Wapello, Iowa and Uncle, Dale Roberts of Mount Sterling, Iowa and his grandparents. Thank you to the medical staff of Mercy Medical Center and Hillcrest Family Services. In lieu of flowers, memorials made will be directed to Hillcrest Family Services.